The First World War brought short-term prosperity to Newfoundland and Labrador, but damaged its economy in the long run by increasing the public debt. 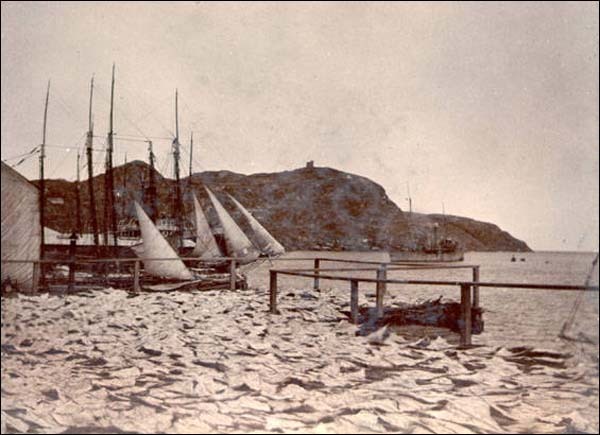 As warring nations scaled back their involvement with the cod fisheries, market conditions and profits improved in the Newfoundland and Labrador fishery. Forestry and mining industries also benefited from wartime demand for lumber and iron ore exports. The government reported its first financial surplus for years in 1916 and continued to do so for the duration of hostilities. Employment was plentiful, wages good, and residents enjoyed a high standard of living. Newfoundland and Labrador spent heavily during the First World War to raise, train, and equip its own overseas regiment. Courtesy of The Rooms Provincial Archives Division (F 46-23), St. John's, NL. However, Newfoundland and Labrador also spent heavily during the war to raise, train, and equip military forces for land and sea. Its contributions to the war effort amounted to roughly $35 million dollars and increased the public debt from $30.5 million before the war to $42 million by 1919. By then, interest payments on the public debt alone absorbed almost one-quarter of the annual national revenue. Peacetime brought additional financial burdens, as France, Norway, and other countries returned to the fish trade and competed with Newfoundland and Labrador for access to resources and markets. Dropping fish prices and a global post-war depression exacerbated matters and made the 1920s and 1930s a time of tremendous economic hardship for the country. Newfoundland and Labrador's economy centred on the codfish industry when war broke out in August 1914, as it had since the early 16th century. Local fish workers caught and processed fish, which merchants shipped to markets in southern Europe, the Caribbean, and South America. 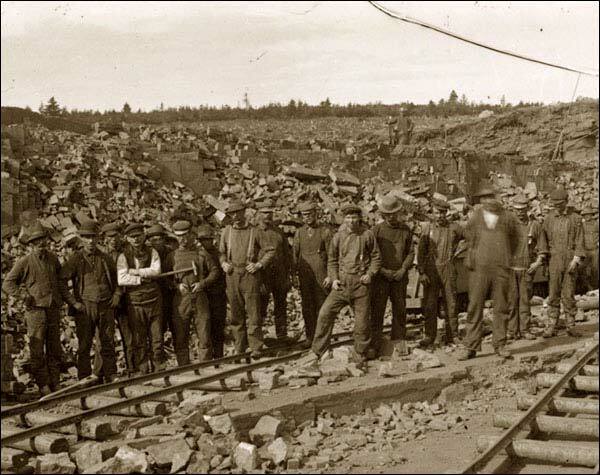 Mining and forestry industries had also grown in importance since the 1890s, when construction of a trans-island railway made Newfoundland's resource-rich interior more accessible than ever before. Newfoundland and Labrador's economy centred on the codfish industry when war broke out in 1914. Photographer unknown. Reproduced by permission of the Maritime History Archive (PF-315.181), Memorial University of Newfoundland, St. John's, NL. Although they had lessened Newfoundland and Labrador's reliance on the unpredictable fishery, the mining and forestry industries depended on overseas export markets as well. This made the country highly dependent on the fluctuations of an international market over which it had no control. Newfoundland and Labrador prospered when prices and demand for its resources were high, but suffered when they dropped. By the time hostilities began in 1914, Newfoundland and Labrador was experiencing an economic downturn. A commercial depression negatively affected profits and was compounded by poor catch rates in the fishery and the loss of some exports due to shipping disasters. Many residents were either unemployed or underemployed and poor revenues forced the country to report a deficit of about $302,000 for the 1913-14 fiscal year. Its national debt stood at almost $30.5 million, which was relatively high for a population of 250,000. Although the First World War ultimately benefited Newfoundland and Labrador's export economy, trade remained slow for the first year of hostilities as the world adjusted to the uncertainties of war. The country's exports dropped in value by about $2 million from the previous year, and the government reported a deficit of $756,000 for the 1914-15 fiscal year. Conditions improved during the latter half of 1915, as strong catch rates in the fishery and rising prices on the international market favoured Newfoundland and Labrador's major industry. The British Royal Navy helped safeguard the country's shipping lanes, making it possible to reach important markets in the Mediterranean, Caribbean, and South America. Rival nations in the fish trade, such as France and Norway, scaled back their efforts due to wartime pressures, giving Newfoundland and Labrador fish a greater share of the marketplace. 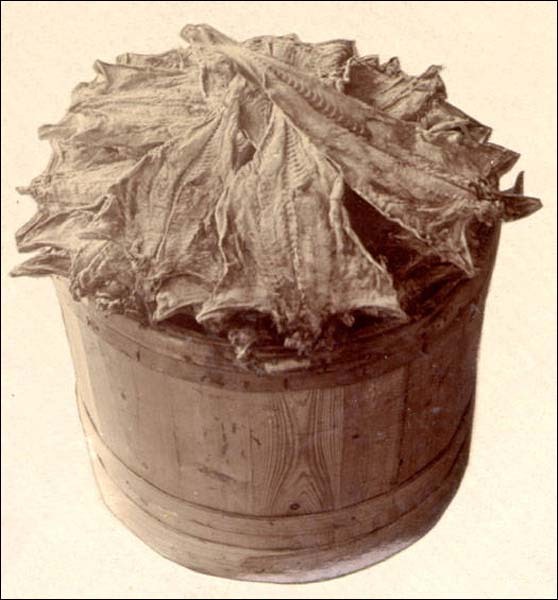 As the world's demand for codfish rose during the war, so too did its price on the international market; the average price of cod was about 84 per cent greater at the end of the war than it was before hostilities broke out. Mining and forest industries also benefited from increased wartime demand. Canada imported iron ore from the Bell Island mines for the manufacture of weapons and ammunition, while Britain's increased need for pit props (wooden beams used to support mine tunnels) boosted Newfoundland and Labrador's timber exports. The local economy steadily grew throughout the 1915-16 fiscal year and continued to expand for the rest of hostilities. Employment was plentiful, exports continued to rise, and catch rates remained strong. Between 1914 and 1919, the country's exports almost tripled in value from $13 million to $36 million. The government reported a surplus in the 1915-16 fiscal year and continued to do so until war's end. Canada imported iron ore from the Bell Island mines for the manufacture of weapons and ammunition during the First World War. Photo by Holloway. Reproduced by permission of Archives and Special Collections (Coll. 137 10.13.002), Queen Elizabeth II Library, Memorial University of Newfoundland, St. John's, NL. Wartime prosperity resulted in higher wages and low unemployment. Residents had more money to spend than was usual and local standards of living rose beyond what could be maintained in peace. Automobiles became more common in St. John's, as did North American styles of dress. The price of flour, coal, and other imports increased during the war, but high wages generally compensated for inflated wartime prices. Despite the country's newfound air of affluence and its repeated surpluses, heavy wartime spending significantly increased the public debt. Much of this spending was devoted to the recruiting, training, and equipping of troops for military service overseas – a sizeable task for a country that had neither a land force of its own nor a military department in its government. No soldier had been stationed at Newfoundland and Labrador since British troops withdrew in the 1870s, and although the country supported a branch of the Royal Naval Reserve, all but 70 of its 600 members were engaged in the fishery when fighting began in August 1914. The only other existing military resources included four church-sponsored cadet corps, a rifle club at St. John's, and a local branch of the Legion of Frontiersmen – a paramilitary unit open to men over the age of 18 with military, naval, or wilderness experience. 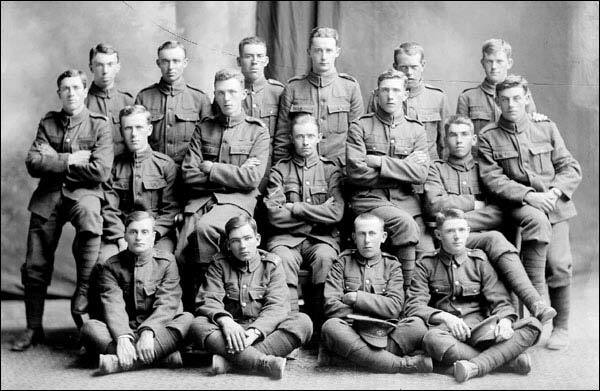 Newfoundland and Labrador's branch had about 150 members at the time of war. Instead of providing volunteers for existing British and Canadian forces, the Newfoundland and Labrador government decided to raise its own infantry unit to fight overseas. By the end of the war, the country enrolled 6,241 men in the Newfoundland Regiment, 1,964 in the Royal Naval Reserve, and 498 in an overseas Forestry Corps. Maintaining these forces, particularly the Newfoundland Regiment, proved to be of great economic cost to the country, and forced the government to borrow heavily from lenders in New York and London. 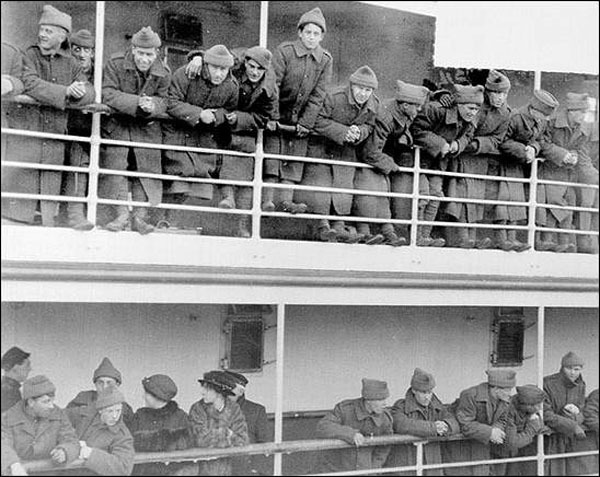 Newfoundland Regiment soldiers ready to sail. Maintaining Newfoundland and Labrador forces proved to be of great economic cost to the country. Courtesy of The Rooms Provincial Archives Division (NA 6037), St. John's, NL. The total cost of the war to Newfoundland and Labrador – including war loans, interest, war pensions, and the cost of demobilizing troops – amounted to about $35 million, and increased the country's debt from $30.5 million in 1913-14 to $42 million in 1918-19. Interest payments on the debt had by then become the government's largest yearly expense, swallowing 22 per cent of its annual revenue. The situation deteriorated in peace, when a post-war recession cut deep into the country's revenues. Following the war, Newfoundland and Labrador's major European rivals in the fish trade, which included France, Norway, Iceland, and Portugal, reentered the industry and competed for resources and buyers. The markets became quickly glutted with fish and this, combined with a post-war decrease in the value of some global currencies, caused fish prices to drop. A quintal of fish that cost $14.46 in 1918 fetched $9.77 in 1920, and only $6.86 in 1922 – less than half its 1918 price. Low prices and increased competition saw Newfoundland and Labrador's profits evaporate. International markets became glutted with saltfish after the First World War. A quintal of fish that cost $14.46 in 1918 fetched only $6.86 in 1922. Low prices and increased competition saw Newfoundland and Labrador's profits evaporate. Photographer unknown. Reproduced by permission of the Maritime History Archive (PF-315.139), Memorial University of Newfoundland, St. John's, NL. The government reported a deficit in the 1920-21 fiscal year, followed by 14 more in the next 15 years. As Newfoundland and Labrador's export economy struggled in a global post-war recession, the government borrowed heavily from international lenders. Much of this money went to pay off war costs and to support the struggling Newfoundland Railway. By the time the Great Depression broke out in 1929, the country's public debt totaled $80 million, approximately two-thirds of which was due to wartime spending and the railway. Eventually, the government could not afford to make interest payments on its debt and approached the United Kingdom for assistance. Britain agreed to support Newfoundland and Labrador, but on the condition that it have greater political control over the colony to protect its investment. As a result, Newfoundland and Labrador ceased to be a self-governing nation on 16 February 1934 when the Commission of Government was sworn in. The commission remained in power until Newfoundland and Labrador joined Canada in 1949.